This portable container is the ideal storage solution for Mini Distress Ink pads. 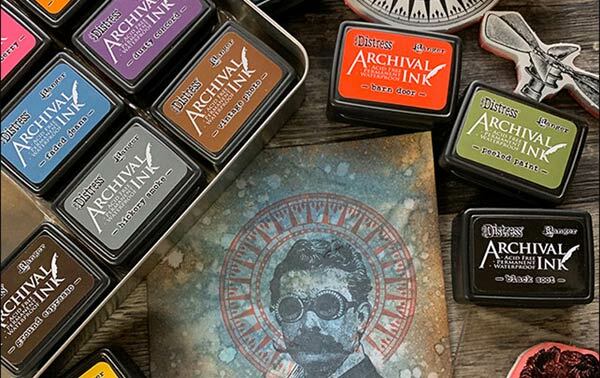 Each tin holds up to 12 Mini Distress Ink pads and includes a click-in tray/divider for easy accessibility (pads sold separately). With a see-through clear window, hinged lid and light weight, the Mini Distress Ink Storage Tin is perfect for small spaces and transporting pads to classes.